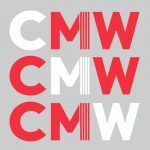 Community MusicWorks (CMW) is a nationally recognized community-based organization that uses music education and performance as a vehicle to build lasting and meaningful relationships between children, families, and professional musicians in urban neighborhoods of Providence, RI. 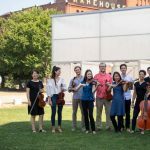 Founded by Sebastian Ruth with start-up funding from the Swearer Center for Public Service at Brown University, the program began modestly in 1997 with 15 violin students. Today, CMW is a thriving organization with 10 professional resident musicians and more than 100 neighborhood children participating free of charge—some for as long as 10 years—regardless of talent or ability. CMW is built around the permanent residency of the Providence String Quartet, which was founded in 2001. Participants in CMW’s two-year Fellowship Program for young professional musicians comprise the Fellows String Quartet. 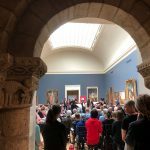 The Fellows also perform in collaboration with the members of the Providence String Quartet and CMW’s other resident musicians as the Community MusicWorks Players. All resident musicians teach instrument lessons, mentor students, perform locally, and organize community-building and educational events. Our students, who live in Providence’s West End, South Side, Elmwood, and Olneyville neighborhoods, participate in after-school programming and receive instruments free of charge. 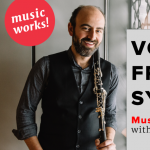 Students have weekly lessons, participate in a weekly community day that includes studio class and ensemble playing, attend educational workshops led by guest artists, and perform several times a year. Teens are eligible for a leadership development group called Phase II, in which they engage in discussions about social justice, mentor younger students, and work together to create relevant musical events in their community. All students are also offered weekly enrichment classes, including Media Lab, Fiddle Lab, and Music Lab. Our student retention rate is close to 90 percent annually, with some children participating for as many as 10 years. There is a waiting list at all times, and special efforts are made to include waiting list families in our free events. In 2006, in response to interest from like-minded professional musicians nationwide, and in order to reduce the waiting list, CMW added its two-year Fellowship Program which served to double student enrollment. Since then, providing resources for musicians seeking to create careers that combine artistic and civic goals has become a major component of our work. 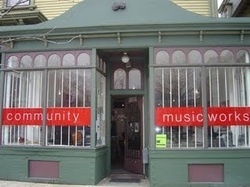 A three-year investment from The Andrew W. Mellon Foundation in 2008 led to the creation of CMW’s bi-annual Institute for Musicianship and Public Service, an opportunity for musicians to gather in Providence to draw inspiration from CMW and develop strategies to apply to their own community-based work elsewhere. We receive strong ongoing support from our local community, and from a growing community of fans across the country. Our students’ enthusiasm for learning about music continually reinvigorates the many artists and educators who visit us each season, including members of our Advisory Council, a group dedicated to advancing and promoting CMW’s artistic and organizational goals. CMW is a founding member of the Providence Youth Arts Collaborative, a partnership of six non-profit community-based arts organizations using arts education as a strategy to empower the youth of the Providence and greater Rhode Island.